(CBS/AP) OAK CREEK, Wis. - The gunman who killed six people at a Sikh temple in Wisconsin before being shot to death by police was identified Monday as a 40-year-old Army veteran and former leader of a white supremacist heavy metal band. 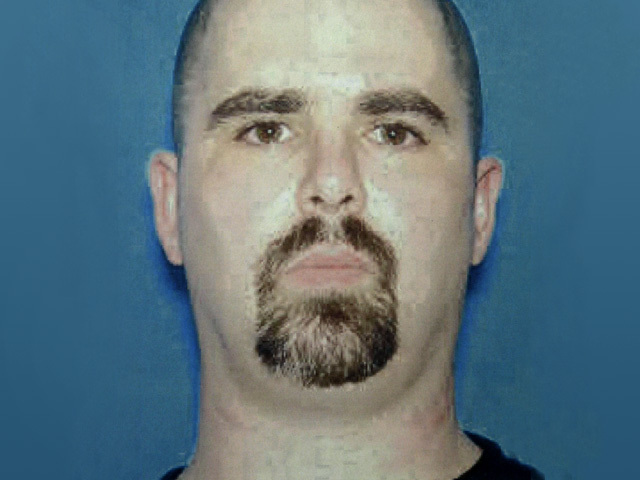 Wade Michael Page strode into the temple carrying a 9mm handgun and multiple magazines of ammunition and opened fire without saying a word, authorities said. When the shooting at the Sikh Temple of Wisconsin in suburban Milwaukee ended, six victims ranging in age from 39 to 84 years old lay dead. Three others were critically wounded. According to sources in the Army, Page enlisted in April 1992 and was a repairmen for the Hawk missile system before switching jobs to become one of the Army's psychological operations specialists assigned to a battalion at Fort Bragg, N.C.
As a psyops specialist, Page would have trained to host public meeting between locals and American forces, use leaflet campaigns in a conflict zone or use loudspeakers to communicate with enemy soldiers. Page was demoted in June 1998 for getting drunk while on duty and going AWOL, two defense officials said, speaking on condition of anonymity because they were not authorized to release information about the gunmen. Mark Potok, a senior fellow at the nonprofit civil rights organization in Montgomery, Ala., said Page had been on the white-power music scene for more than a decade, playing in bands known as Definite Hate and End Apathy. "The name of the band seems to reflect what he went out and actually did," said Potok. The music often includes lyrics that discuss genocide against Jews and other minorities. He told the website his "inspiration was based on frustration that we have the potential to accomplish so much more as individuals and a society in whole," according to the law center. He did not mention violence. Sources tell CBS News some unspecified evidence suggests race or ethnicity may have played a role in the violence, but no links to extremist groups have been confirmed. Local police called the attack an act of domestic terrorism, but other sources tell CBS News correspondent Bob Orr it may be more accurate to refer to "an investigation into a possible hate crime." Neither local nor federal sources provided further details or suggested a possible motive, including whether the suspect specifically targeted the Sikh temple. The bodies of the victims are with the Milwaukee County Medical Examiner, reports CBS Affiliate WDJT. Autopsies will be performed today. Late Sunday, the investigation appeared to move beyond the temple as police, federal agents and the county sheriff's bomb squad swarmed a neighborhood in nearby Cudahy, evacuating several homes and searching a duplex. Bureau of Alcohol, Tobacco, Firearms and Explosives agent Tom Ahern said warrants were being served at the home of the gunman. "Nobody has really seen him," neighbor Alma Rayes tells CBS News. "We heard here and there that they've been doing a lot of arguing, between him and another female, but I haven't seen him." "He did not speak, he just began shooting," said Harpreet Singh, relaying a description of the attack from the wife of his uncle, temple president Satwant Singh Kaleka. Singh said Satpal Kaleka told him she was in the front room when the shooter walked in. She said the 6-foot-tall bald white man  who worshippers said they had never before seen at the temple  seemed like he had a purpose and knew where he was going. Sikh rights groups have reported a rise in bias attacks since the Sept. 11 terrorist attacks. The Washington-based Sikh Coalition has reported more than 700 incidents in the U.S. since 9/11, which advocates blame on anti-Islamic sentiment. Sikhs are not Muslims, but their long beards and turbans often cause them to be mistaken for Muslims, advocates say.